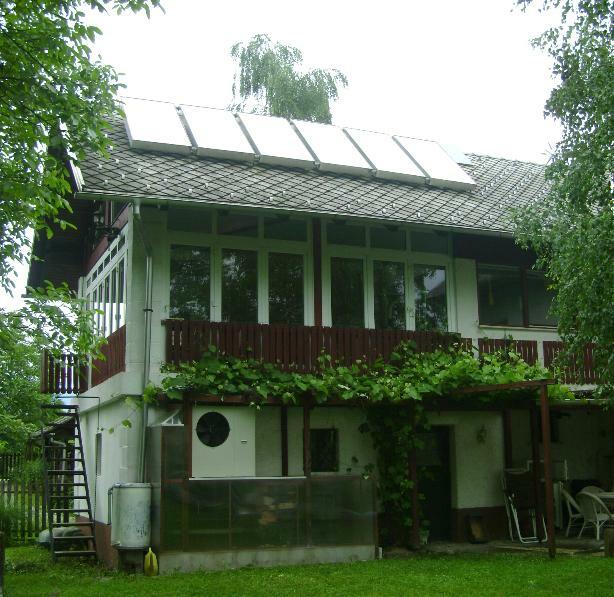 Our house has two independant photovoltaic systems and one solar heating system. One PV plant of peak power 980W is an island system with energy stored in 1600 Ah 12V lead acid batteries. 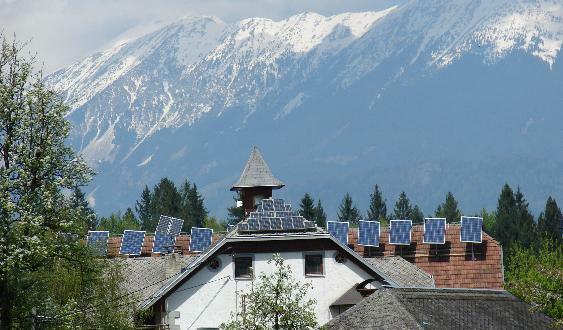 It covers almost a third of our electric energy needs in spring, summer and autmn and much less in winter. The wind turbine with its 100 W power helps when the weather is more windy. 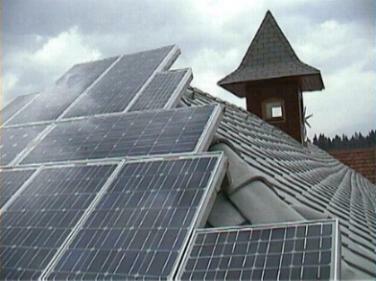 Our first PV power plant of 150W has been built in 1993 - the three cells above the collectors. 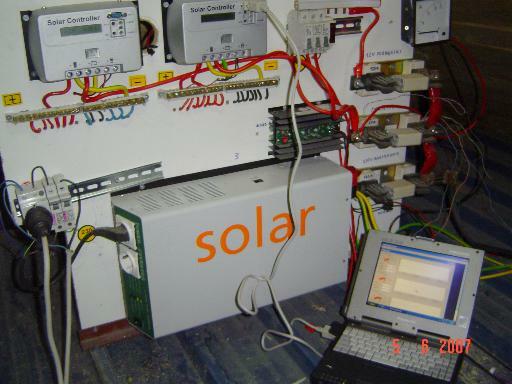 On october 2006 we installed a 3 kW electric (10 kW heat) heat pump air-air that works through a kind of Trombe wall (a corridor filled with black bricks and radiated by sun) and this pump proved to be efficient even in cold days when there was enough sun. 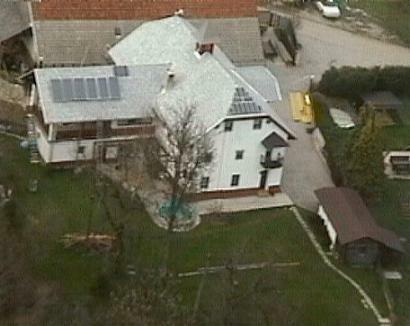 Below one can see the heat pump on the top of the glass corridor that is connected to our heating system. 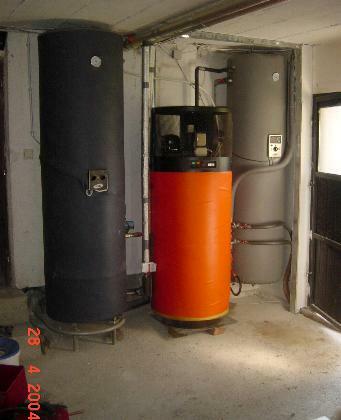 Hot water is stored in three tanks each containing 200 litres. 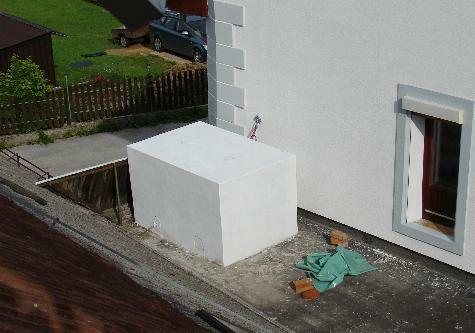 The last step is a heat pump (590 W) that makes hot water when everything else fails (no sun, no central heating). Of course all three containers are connected to solar collectors to be heated when there is enough sun. One of the projects finished in 2009 was also a rainwater system for the toilets and other technical water. It is rather complicated, but it works fine. We also had a small biodiesel production system that made biodiesel from used fry oil we get from restaurants. 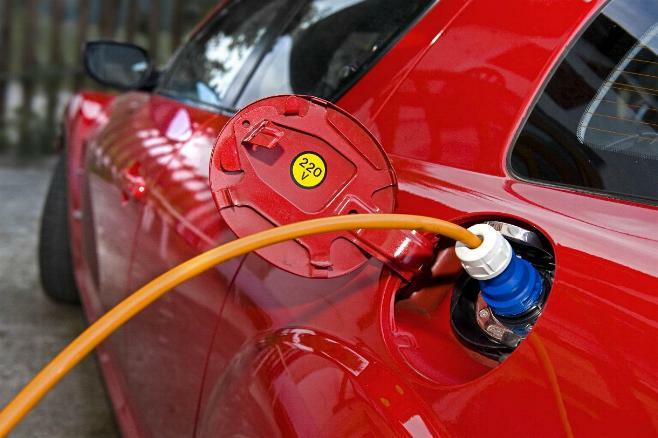 We have used it quite a lot to power our cars before we made electric cars, now we do not use it any more. 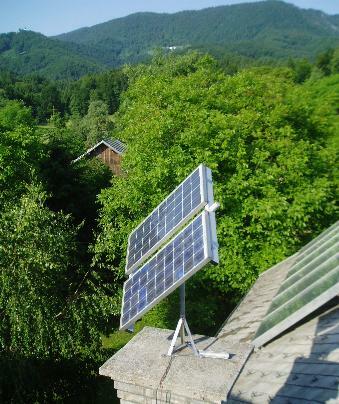 We installed 3 PV cells for direct charging of our low voltage electric cars Piki and Superpiki. Also house insulation has been improved, so we can heat with low temperature system. 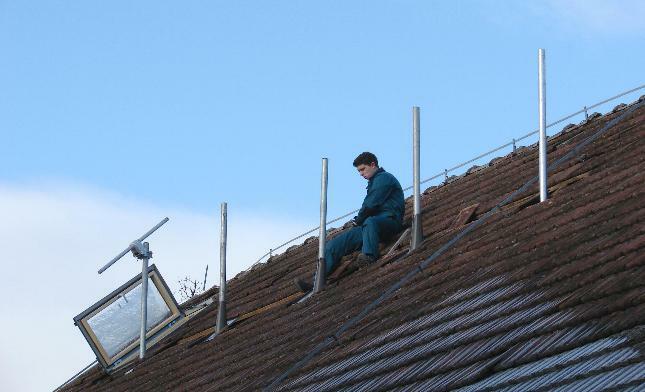 Huge PV have been installed all over the house and on 1st of January 2016 we went offgrid for most of the time. 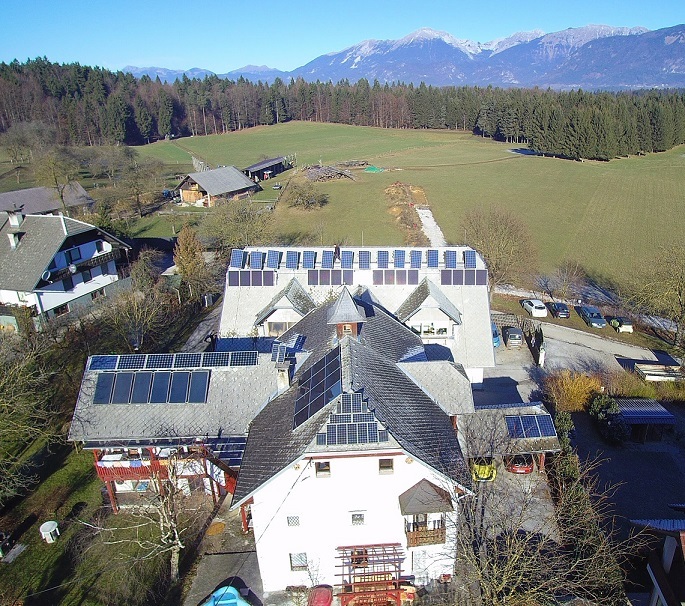 House is now powered from storage system integrated in "Sustainable energy cycle", cars are (during winter time) still charged from the grid at off peak time. 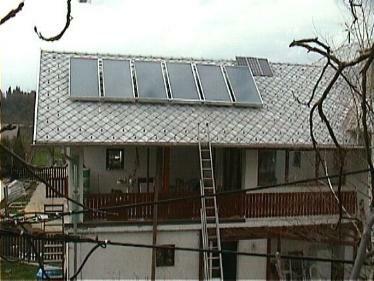 Most of the photovoltaic cells are on the south part of the roof fixed on an steel frame.